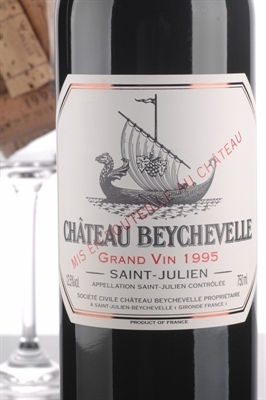 Deep ruby/purple in color, with a sweet nose of black currants, earth, licorice, and mineral, the 2000 is relatively powerful and dense for the normally restrained and elegant Beychevelle. Deep ruby/purple in color, with a sweet nose of black currants, earth, licorice, and mineral, the 2000 is relatively powerful and dense for the normally restrained and elegant Beychevelle. Medium to full-bodied, dense, and chewy, it is showing even better out of bottle than it was from cask. While it appears to be the finest example made at Beychevelle since the 1989 and 1982, patience will be required.